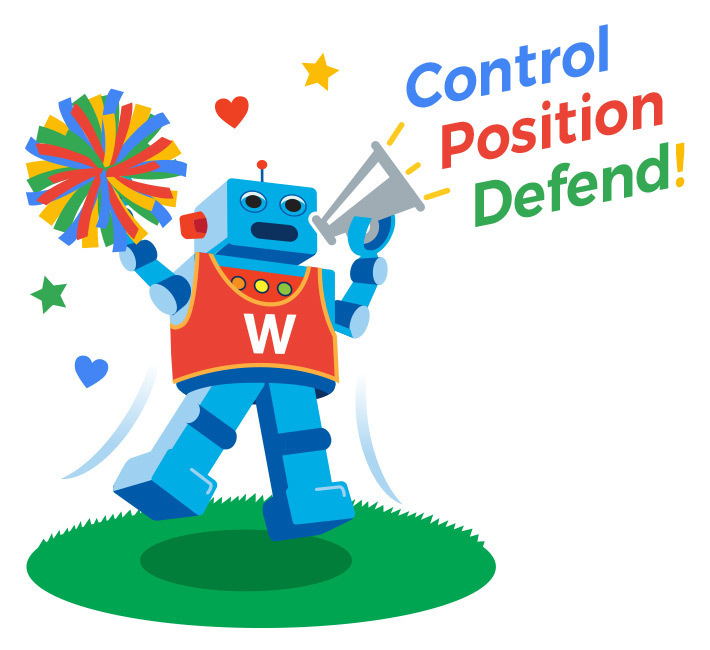 “You want it when?” is a kind of punchline for service businesses, like Workbox, but teams can pull together to get websites done quickly and professionally – as long as everyone keeps simplicity in mind. So, as an example, we thought we’d give our readers a little insight into how a rapid-fire web design process happens in the real world. 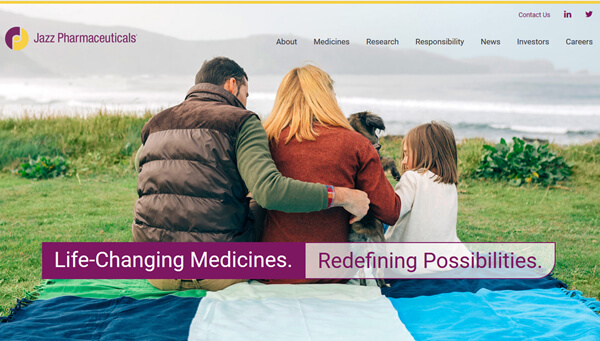 Workbox’s new client, Ampio Pharmaceuticals, Inc., a dynamic pharmacueticals company, was merging into a public shell corporation and needed to get a website online ASAP. Rapid action is not unusual in the wild world of small cap companies (it isn’t that companies are unprepared, it’s that the deals happen very quickly), so we knew what to do. And we also knew the site that we launched would soon be replaced by a website with a refined design and content management system. First we had a quick website branding discussion – what the company is all about, what its market is like, who the website’s target audience is. Second, we gathered as much content as we could from the client. Third, we created a simple site architecture document that included a sitemap and basic page wireframes. Also, simultaneously, our design team created a few logos for the client to choose from. Finally, we set up Google Analytics and recommended a website host. We were able to show the site architecture document in one day, and get it refined and finalized in three days. We spent a total of four days going back and forth refining logos. And Ampio was able to get us final content within one week. Our team was pretty lucky to be able to get a solid logo done so quickly, so we decided to not bog the design process down by researching and presenting imagery for the temporary website. As designers know, this process can eat up time pretty quickly – it isn’t easy to find images that are not over-used or trite and that match the company’s brand. So, we decided to hold off on images until the next design phase. Typically, Workbox shows 2-4 homepage designs to start with, but we simply didn’t have time for this project. So, again, simplicity was the name of the game. We presented one homepage design and only had to edit some of the secondary colors to get it good enough to launch. This took a total of four days. Also, while we were working on designs, our team was creating the “contact us” and investor relations forms, and tweaking our little stock information module (will become fully active once the stock starts actively trading). 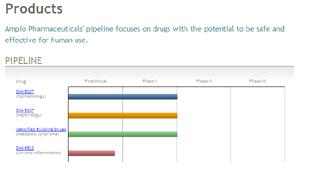 Additionally, we designed a nice product pipeline graphic – a must for pharmaceutical companies. After the designs and various modules were finalized, we built out the individual pages, and loaded them up behind a password. The client and our team edited the content, then took the site live. And, on the same day, we added their first press release. Our “simplicity” approach paid off. First, it allowed us to focus on the bare essentials required to look professional without getting into too much subjective design work. Second, simplicity kept the page coding work down to a minimum. Third, it reduced the amount of content the client needed to write. And finally, it’s always great to work with a smart, professional client team! We will post more information as this temporary site is replaced with the final design and the content management system is installed. 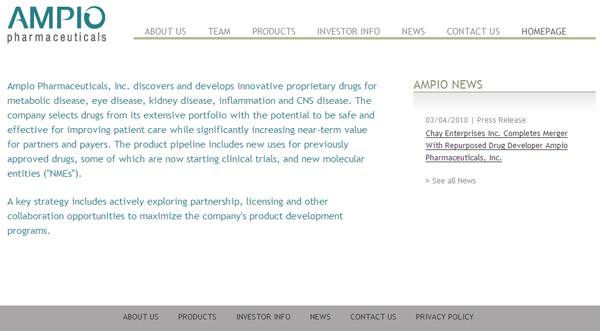 Since Ampio Pharmaceuticals, Inc. is a publicly traded, high-growth company, Workbox is working with Ampio in one of our “investing” arrangements. Workbox received a small cash payment (to cover costs) and restricted stock. This one-year agreement provides Ampio with our full design, technical and support teams, and gives us a big incentive to make sure their website is world-class and well-maintained since we are, in effect, investors in the company.